When Gram Parsons and The Fallen Angeles headed out on tour in 1973, little did anyone realise that this tour would be God’s Own Singer’s swan-song. By then, twenty-six year old Gram Parson had embraced the rock ’n’ roll lifestyle and had an insatiable appetite for drink and drugs. Sadly, this would result in Gram Parson’s death on September 19th 1973. A post-mortem found that the cause of Gram Parsons’ death was an overdose of morphine and alcohol. Sadly, the rock ’n’ roll lifestyle that Gram Parsons had embraced, had resulted in his death, aged just twenty-six. Gram Parsons’ friends, family and band struggled to come to terms with his death. This included Rick Roberts. He had known Gram Parsons since they had been members of The Flying Burrito Brothers. Gram Parsons had been one of the founding members in 1968, and Rick Roberts had joined in 1970. Then when Gram Parsons embarked upon a solo career, Rick Roberts left The Flying Burrito Brothers and became a member of The Fallen Angels, Gram’s backing band. That was until that fateful night in September 1973. Eventually, after Gram Parson death, Rick Roberts began to think of the future. By then, Rick Roberts was back home in Colorado. So too was Jock Bartley, who had replaced Tommy Bolin in Zephyr. They had first met when Gram Parsons and The Fallen Angels were playing two nights in the same venue in New York. Since then, they had kept in touch. Now back home in Colorado, Rick Roberts and Jock Bartley were reunited. One day, Rick Roberts arrived as Jock Bartley was playing his guitar. Rick Roberts watched as Jock Bartley unleashed a virtuoso performance. This lead to Rick Roberts suggesting they practise together. Soon, Rick Roberts and Jock Bartley were practising together regularly. Before long, they began to think about forming a band together. So they began to think of possible additions. The first name on their list was Mark Andes, a bassist and singer. Mark Andes had previously been a member of Spirit and Jo Jo Gunne. That was until he decided to retire, albeit temporarily, and went to live in the rocky mountains outside of Boulder, Colorado. Rick Roberts and Jock Bartley were hoping to tempt Mark Andes out of retirement. They succeeded, and bassist Mark Andes joined the nascent band. This left just three possible names on the list. The first was Larry Burnett, a singer, songwriter and guitarist, who Rick Roberts had met Larry on his travels. When Rick Roberts was putting a new band together, he decided the Larry Burnett fitted the bill. So did keyboardist and guitarist Mark Hallman, who knew Mark Andes from the band Navarro. However, when Mark Hallman was asked to join Firefall, he rejected the opportunity, and eventually joined Carole King’s backing band. While this was a disappointment, the search for a drummer went on. Various local drummers were auditioned, but failed to make the grade. Eventually, Rick Roberts decided to phone an old friend…Chris Hillman. He had an impressive C.V, and previously had been a member of The Byrds and The Flying Burrito Brothers. That was where he met Rick Roberts. However, since leaving The Flying Burrito Brothers, Chris Hillman had lived first in Hawaii and then in Washington. When Rick phoned Chris Hillman, he agreed to head to Colorado and joined Firefall. For their first year together, Firefall played in the pubs and clubs around Colorado. Quickly, Firefall became a popular draw in Boulder and Aspen, where the nascent band honed and tightened their sound. After just over a year of playing live, Firefall decided to record a demo. The three song demo Firefall recorded was produced by Chris Hillman, and shopped to the major labels. When it failed to find a taker, things weren’t looking good for Firefall. So much so, that in 1975, Rick Roberts, Jock Bartley and Mark Andes were drafted in to Chris Hillman’s band for several performances. This included a gig at The Other End in New York, during June 1975. Not long after the band arrived in New York, Chris Hillman became ill, and couldn’t continue the tour. So Larry Burnett and The Byrds’ drummer were drafted in to play at The Other End and finish the tour. In the audience that night at The Other End, was Atlantic Records’ A&R executive. He listened to Firefall’s demo tape, and then made his way to the front of the stage. After Firefall’s set, the Atlantic Records’ A&R executive headed backstage and signed Firefall on a multi-album contract. At last, Firefall were signed to a major label. There was a problem though. Rick Roberts had agreed to head out on tour with Stephen Stills during the summer of 1975. This meant the recording of Firefall’s eponymous debut album had to be postponed until Rick’s return. It wasn’t until late 1975 that work on Firefall could begin. After Rick Roberts returned from touring with Stephen Stills, a decision was made that David Muse should also join Firefall in the studio. He was a talented multi-instrumentalist, who could seamlessly switch between saxophone, flute, keyboards and harmonica. David Muse would add a new dimension to Firefall’s sound. So would Jim Mason, who had been chosen to produce Firefall’s debut album. For Firefall’s eponymous debut album, Rick Roberts penned the album opener It Doesn’t Matter with Stephen Stills and Chris Hillman. He was no longer a member of Firefall, and had been replaced by Michael Clark. Rick Roberts also wrote Livin’ Ain’t Livin’, Dolphin’s Lullaby,You Are The Woman and Mexico. Larry Burnett wrote Love Isn’t All, No Way Out, Cinderella, Sad Ol’ Love Song and Do What You Want. These songs were recorded at Criteria Studios, in Miami. When Firefall arrived at Criteria Studios, the lineup featured a rhythm section of drummer Michael Clark; bassist Mark Andes; and Larry Burnett on electric and acoustic rhythm guitar. Jock Bartley added lead, slide and pedal guitar; while Rick Roberts added acoustic guitar. New recruit David Muse played piano, clavinet, synths, flute, tenor sax and harmonica. Guest artist Joe Lala was drafted in to add a myriad of percussion. The man tasked with producing Firefall was Jim Mason. Once the album was recorded and mastered, the release of Firefall was scheduled for May 1976. Before that, critics had their say on Firefall. They were won over by a polished and accomplished album where soft rock rub shoulders with folk rock, country and Americana. It Doesn’t Matter opened the album, and was a slice of Californian soft rock, which whetted the listener’s appetite for the rest of Firefall. 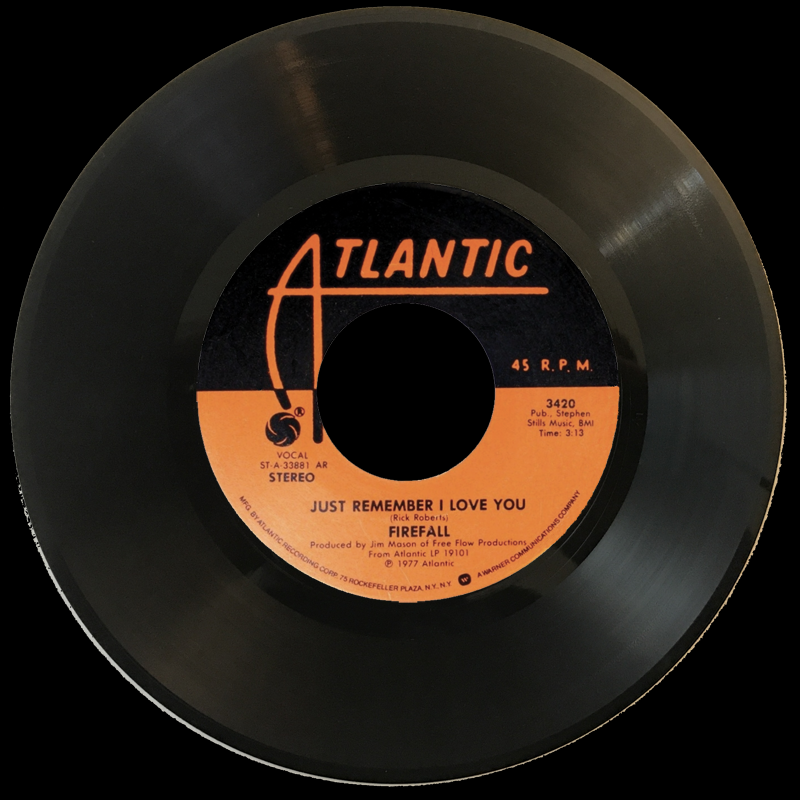 This included songs like No Way Out and the ballads Dolphin’s Lullaby, Love Isn’t All and Sad Ol’ Love Song, which lead to comparisons with The Eagles. However, for many critics, one song stood head and shoulders above the rest, the soft rock classic You Are the Woman. It oozed quality, and had single written all over it. So did Livin’ Ain’t Livin’ and the wistful country rock ballad Cinderella. These songs showcased a tight, talented and versatile band who put all their years of experience to good use on Firefall. It was released to critical acclaim in May 1976. When Firefall was released, it reached number twenty-eight on the US Billboard 200, and sold in excess of 500,00o0 copies. This resulted in Firefall being certified gold. By then, Firefall were being compared to The Eagles and Poco. This was a lot to live up to. However, more success had come Firefall’s way and they had just enjoyed their first hit single. You Are The Woman had been released as a single, and reached number nine on the US Billboard 100 and number six on the US Billboard Adult Contemporary Charts. Livin’ Ain’t Livin’ then reached forty-two in the US Billboard 100, while Cinderella reached just thirty-four in the US Billboard 100.This wasn’t a true reflection on the song. The problem was that radio stations were unwilling to play the single, because of its controversial lyrics. Despite the lack of radio play, it gave Firefall a minor hit single. With three hit singles and an album that had just been certified gold, Firefall were one of music’s rising stars. They embarked on their first lengthy tour. Over the next two years, Firefall were constantly touring. They shared the bill with everyone from Leon Russell to The Doobie Brothers and Tom Waits to Lynyrd Skynyrd, Roy Buchanan, the Electric Light Orchestra and The Band. However, Firefall had to fit in the recording of their sophomore album Luna Sea. Originally, the working title for Firefall’s sophomore album was Tropical Nights. Just like their eponymous debut album, it was scheduled to be recorded at Criteria Studios, in Miami where David Muse would make his debut as a full-time member of Firefall. However, percussionist Joe Lala, who returned for the recording of Luna Sea, was still a guest artist. So were The Memphis Horns, who join Firefall at Criteria Studios when recording of their sophomore album got underway. Firefall were also joined by Poco’s Timothy B. Schmidt and a trio of female backing vocals. They joined percussionist Joe Lala, and the newly expanded lineup of Firefall. Again, Jim Mason had been drafted in to produce the album. Everything seemed to go to plan, and within a month, Firefall’s sophomore album was completed. However, there was a problem. Once the album was completed, it was sent to Atlantic Records. They decided after hearing the final mix, that the album would have to be recorded. This time, Fireball headed to Los Angeles, where some of the songs on Luna Sea were rerecorded. Other songs were discarded, and replaced by new songs. By the time Luna Sea was complete, Rick Roberts had written four songs, and Larry Burnett three songs. They also cowrote Even Steven, while Just Think and Piece Of Paper were credited to Firefall. This was the first time the band had written songs together. Both made their way onto Luna Sea, which was released in 1977. Prior to the release of Luna Sea, critics received advance copies of the album. Just like Firefall, Luna Sea was a slick, polished and accomplished album that attracted critical acclaim from critics. Again, soft rock rubbed shoulders with folk rock, country and Americana. So Long the album opener, was a guitar driven slice of soft rock. It gives way to one of Luna Sea’s highlights, Just Remember I Love You. Just like Someday Soon and Only A Fool, it’s a beautiful country-tinged ballad, that’s reminiscent of The Eagles. These ballads offer ample opportunity for Firefall to showcase their trademark close harmonies. 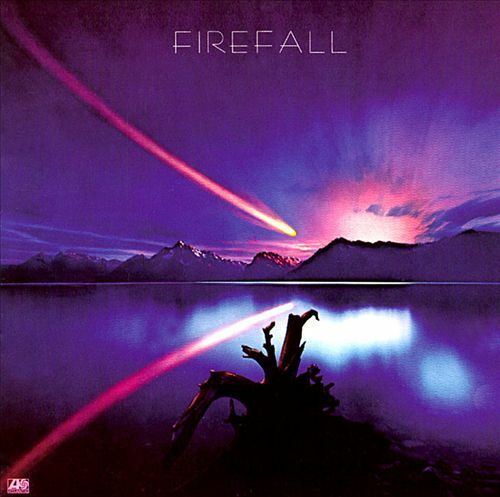 However, other tracks find Firefall showcasing their versatility. Someday Soon is a fusion of blues and country; while Just Think finds Firefall heading in the direction of blues rock. Getaway features The Memphis Horns, who add stabs of horns on a track that wouldn’t sound out-of-place on an Eagles album. Head On Home, a mid tempo country rocker, where the trio of female backing vocalists add the finishing touches. Very different is Piece Of Paper, which is a melancholy ballad. It features Firefall at their best. This leaves just Even Steven, another catchy country rock track, which bookends Luna Sea perfectly. Behind the scenes, it was a different story. All was not well within Firefall. The band had spent nearly two years touring nearly nonstop. That had been the case since the release of Firefall in May 1976, right through to 1978 when the band’s thoughts turned to recording their third album Elan. 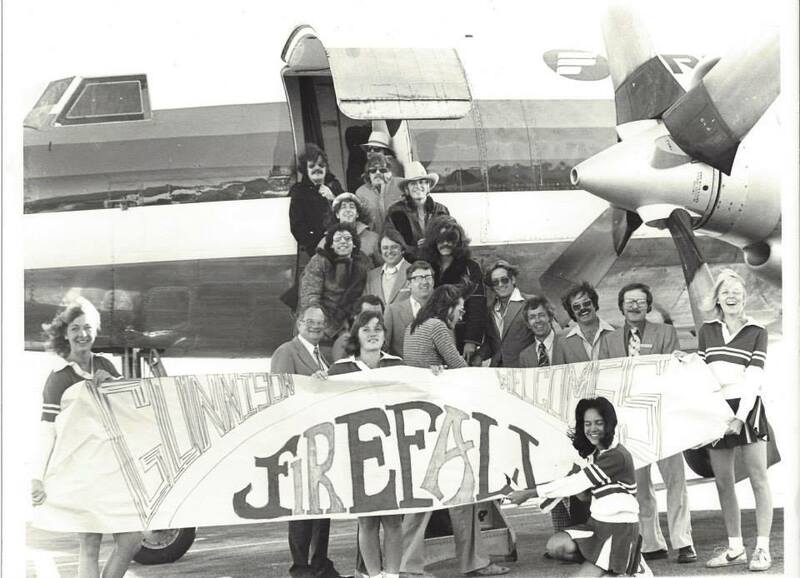 By then, Firefall had toured with the great and good of music. This included opening for Fleetwood Mac on their Rumours’ tour. For Firefall, this should’ve introduced their music to a wider audience. Instead, it almost tore Firefall apart. During the two years of nonstop touring, some of the members of Firefall had acquired expensive habits. Rick Roberts, Larry Burnett and Michael Clarke all began to drink heavily and began to experiment with drugs. Soon, things had escalated, and drink and drugs became a problem within Firefall, as Rick Roberts, Larry Burnett and Michael Clarke all became heavy drug users. This started to affect the group dynamics. To further complicate matters, Firefall were having problems with their management. For a group who were at the peak of their popularity, and about to record their third album, this didn’t bode well. For their third album, Firefall decided to bring a new producer onboard. This was a huge risk, as Jim Mason had played an important part in the rise and rise of Firefall. However, their minds were made up, and Tom Dowd was brought onboard to produce Elan. By 1978, Tom Dowd had an enviable track record. His career began in 1947, and over the last thirty-one years he had produced everyone from Charlie Mingus and Cream to Dusty Springfield and Eric Clapton, to Aretha Franklin, Otis Redding, The Allman Brothers, Chicago and Lynyrd Skynyrd. Now Tom Dowd was tasked with uniting a band divided. For Elan, ten new songs had been penned. Just like Firefall’s two previous albums, they came from the pen of Larry Burnett and Rick Roberts. This time around, Larry Burnett wrote three songs, while Rick Roberts wrote five new songs. Rick also wrote Sweet and Sour with Jock Bartley; and Anymore with Mark Andes. These tracks were recorded at Criteria Sound with Tom Dowd. When recording began at Criteria Studios, Miami, Firefall were joined by drummer Jim Keltner, vocalist Laura Taylor and percussionist Steve Forman. They would augment Firefall as they recorded ten new tracks. However, the Firefall and Tom Dowd partnership proved not to be the dream team everyone had hoped. While the members of Firefall got on well with Tom Dowd, the problem was he had a different ‘vision’ for the band. They were content to stick with the formula that had served them well for two albums. Rather than trying to sort out their differences, Firefall continued to record Elan. Eventually, Firefall’s new management company decided to intervene. By then, Elan was recorded, and a large amount of money had been spent. This was money wasted, in light of what happened next. Firefall’s management company approached Mick Fleetwood, who the band had recently befriended. He was part of one of the most successful bands in the world, and listened as Firefall told him that they weren’t happy with their third album. Eventually, he agreed to speak to executives at Atlantic Records, in the hope that they would allow Firefall to rerecord Elan. When Mick Fleetwood got in touch with Atlantic Records, they agreed to let Firefall rerecord Elan. There was a catch though, Firefall would have pay for the rerecording of their third album. While this put the band into debt, they were willing to do so. For the rerecording of Elan, Atlantic Records brought onboard Howard and Ron Albert to coproduce the album. The sessions took place at Criteria Sound in Miami, and the Record Plant in Los Angeles. By the time the sessions were complete, Elan was transformed and was a very different album. Firefall’s decision to rerecord Elan paid off. Before the release of Elan, critics had their say on Firefall’s third album. They hailed the album Firefall’s finest hour. That was not surprising given the quality of songs on Elan. It features the heart wrenching ballad Strange Way. It’s one of several beautiful ballads, including Baby, Goodbye, I Love You and Sweet Ann. They’re joined by the mid-tempo country rocker Sweet And Sour; the blues rock of Wrong Side Of Town; the country rock ballad Count Your Blessings and Get You Back which features Firefall at their rockiest. Coming a close second was the country rock of Anymore. Closing Elan was the bluesy rocker Winds Of Change. While Elan was different from their two previous albums, critics agreed it had one thing in common…quality. When Elan was released in 1978, it reached number twenty-seven in the US Billboard 200, and was certified platinum. The lead single Strange Way reached number eleven in the US Billboard 100, while Goodbye, I Love You stalled at number forty-three. Despite this, Firefall had just enjoyed the most successful album of their career. It should’ve been a time to celebrate. Sadly, it wasn’t. The three years Firefall had spent constantly touring and recording, had caught up on the band. Firefall were almost burnt out. Michael Clarke was drinking heavily, and sometimes, missed shows. Other times, Michael was ‘unfit’ to play. It got that German drummer Dan Holsten was on standby, and was ready to replace Michael Clarke. However, before long, Firefall realised there was another problem. 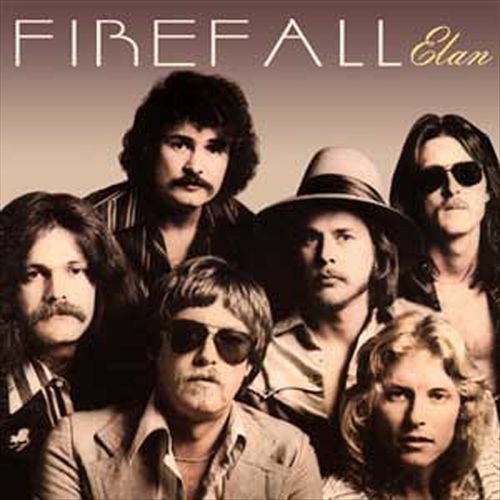 After three successful albums, which had sold over 1.5 million copies in America alone, the members of Firefall must have thought there was a nice nest egg awaiting them. Alas, that proved not to be the case. Firefall’s finances weren’t in the best of health. That wasn’t surprising as they had rerecorded two of their three albums, and embraced the rock ’n’ roll lifestyle. All this was expensive, and was something that Firefall would regret in the future. The band had just enjoyed the most successful period of they career between 1976 and 1978. They had sold nearly two million albums in America alone and resulted in seven hit singles. It looked as if Firefall was going to become one of the biggest American bands of the late-seventies. Sadly, it turned that Firefall’s glory days were behind them. Following Elan, Firefall released Undertow in 1979 and Clouds Across The Sun in 1980. Neither album replicated the success of Firefall’s first three albums, and it looked as if Firefall’s career was on the slide. Especially when Atlantic Records dropped Firefall just a couple of years after they Elan was certified platinum. It was a case of how the mighty had fallen. For Firefall, it looked as if this was the end of the road for Firefall. Then in early 1982, Jock Bartley began putting together a new lineup of Firefall. With the new lineup complete, Firefall signed to Atlantic Records, and released Break Of Dawn in 1982. This was followed by and a year Mirror Of The World in 1983. Commercial success eluded both albums, which never came close to replicating the the success of Firefall’s first three albums. Soon, history repeated itself again when Firefall were dropped again by Atlantic Records. It would be another eleven years before they released another studio album. By the time Firefall released Messenger in 1994, they were a very different band. However, this didn’t stop Jim Mason returning to the produce Messenger. It featured Firefall’s usual mixture of ballads and rockier songs. When Messenger was complete, it was released on Redstone Records, and regarded as a return to form from Firefall. Some critics went as far as compare Messenger to their early albums. While this was stretching things somewhat, Firefall’s fans welcomed the release of Messenger. It was just the latest chapter in the Firefall story. Surely, another album would follow be released and build on Messenger? It was another thirteen years before Firefall returned with Colorado to Liverpool–A Tribute To The Beatles in 2007. Two years later in 2009, Firefall Reunion Live was released some forty-three years after Firefall released their eponymous debut album. Firefall were still making music, and still continue to do so. Seven years later, and Firefall continue to play live. The only original members of the band that remain are Jock Bartley, Mark Andes and David Muse, who featured on Firefall, but only became a permanent member on Luna Sea. They’ve not lost their appetite for music, and continue to play live and bring back memories of Firefall’s glory days. Firefall’s glory days were between 1976 and 1978, when they released a triumvirate of critically acclaimed albums that sold the best part of two million copies in America alone. This started with Firefall in 1976, with Luna Sea following in 1977 and Elan a year later in 1978. It marked the end of Firefall’s glory years, which should’ve lasted much longer. Three years of constant touring and recording took their toll on Firefall. So did the lifestyle problems and problems with their new management company. 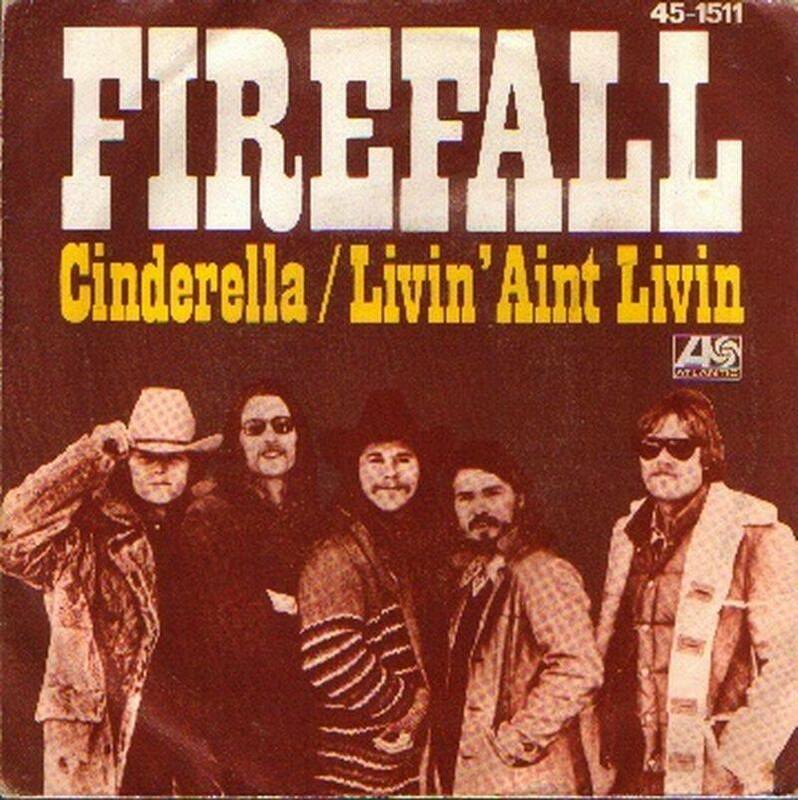 After three critically acclaimed albums, Firefall’s career went into decline and they never fully recovered. Sadly, Firefall would never come close to reaching the heights of Firefall, Luna Sea and Elan, which feature Firefall at their very best during their glory years, when anything seemed possible for the Colorado based band. ← HENRY GROSS-HIS SEVENTIES SOLO YEARS.